Today, Dunwoody announced a new Community Development Director. As this position is outsourced through a contractor, Mr. Foote will actually be employed by Clark Patterson Lee. I sincerely hope that Mr. Foote will be around for a while. Since incorporation, this will be the fourth person to serve in this role. That covers a period of just over five years. Maybe the Council will consider following the model of our newest sister city of Brookhaven, and bring these key Director level positions in-house. I recall that we started paying about $140,000 a year for a Parks & Rec Director to another consulting company. As much as I love Brent Walker, I don't believe he is being paid a salary & benefits that total $140,000. You can run the ROI on bringing in certain positions and find cost savings by bringing them in-house. As I'm always looking for collaboration on Walking & Biking initiatives, I did a quick Internet search and found that Mr. Foote has a bit of experience in bicycling activities. He was Vice-Chair of of the Mayor's Bicycle Advisory Committee in Tempe, Arizona. Since 2003, Tempe has been designated a Silver level Bicycle Friendly Community. In 1971, Tempe was the first city in Arizona to install bike lanes; and in 1974, adopted their first Bicycle Plan. Mr. Foote is also a Certified Bicycle Safety Instructor in two states. We look forward to Mr. Foote in joining us on our very own journey in achieving Bicycle Friendly Status, too!! Dunwoody, GA – January 23, 2014 – The City of Dunwoody today announced the appointment of Steve Foote as the city’s new Community Development Director. Mr. Foote comes to Dunwoody from the City of Mt. Juliet, Tenn. where he served as that city’s Planning Director since 2009. A member of the American Institute of Certified Planners (AICP), Foote has more than 27 years of experience with local government planning and community development. In his new position, Mr. Foote will help usher in a newly implemented zoning ordinance (Chapter 27) and set of land development regulations (Chapter 16), both of which were adopted by the City Council on October 14, 2013. Mr. Foote earned a Bachelor of Science (BS) degree from James Madison University and attended graduate school at Arizona State University. 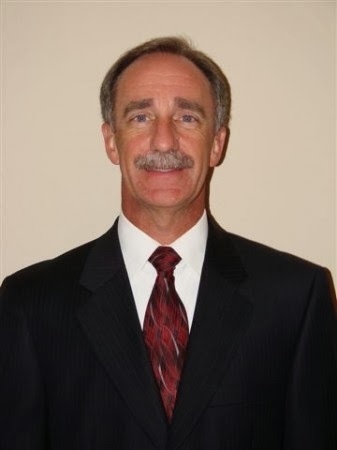 He began his planning career in Prescott, Arizona in 1986, and gained additional experience in Mesa and Gilbert, Arizona, before moving to Alabama where he was Director of Community Development for the City of Gulf Shores. He has extensive experience in leadership positions in his field and has served as President, Vice President, Section Representative, and Conference Chairman of the Alabama Chapter of the American Planning Association.